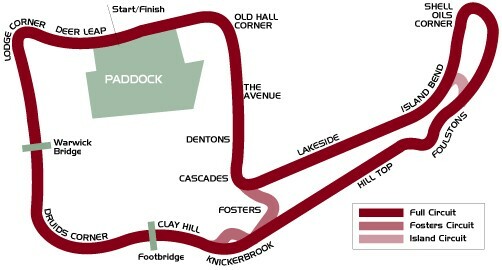 The first race for the team was at Oulton Park in Cheshire unusually using the Fosters layout. 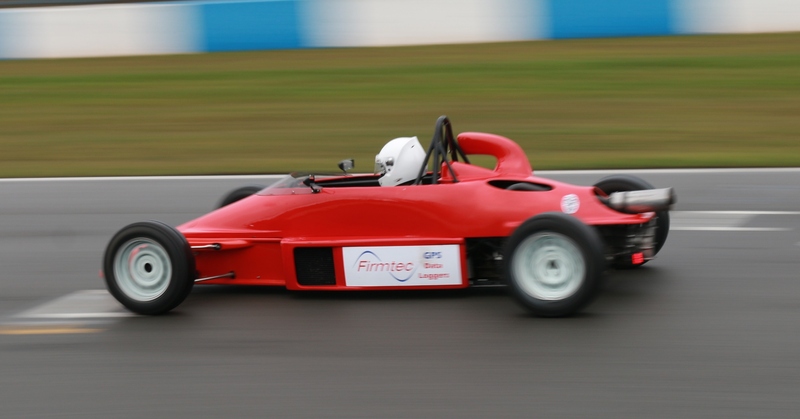 The usual circuit used by the FF1600 category is the International layout but by popular request this race was run on Fosters achieving a full grid for the pre-90 cars. There is no rest for the driver around Fosters. It’s a particularly fast layout as it cuts out the Knickerbrook chicane which means the driver is on the throttle from Fosters all the way up to Druids! This makes this section quite a bit faster than on the International Layout. In addition Cascades is more open allowing the driver to carry more speed through here. Unfortunately during testing on the Friday we never really found a good setup with the car having recently fitted new AVO dampers. After the event we discovered the valving of the dampers was much too soft and even though every session we upped the damper the front end was virtually un-damped. This caused two problems. Most notable for the driver was the inability to take the exit at Knickerbrook flat out without the front bouncing to the edge of the track. As an interesting aside have a listen to how this was named http://www.youtube.com/watch?v=e1TW5WKWLnA! The other problem from running very soft dampers, particularly at the front, was the lack of responsiveness during turn-in. 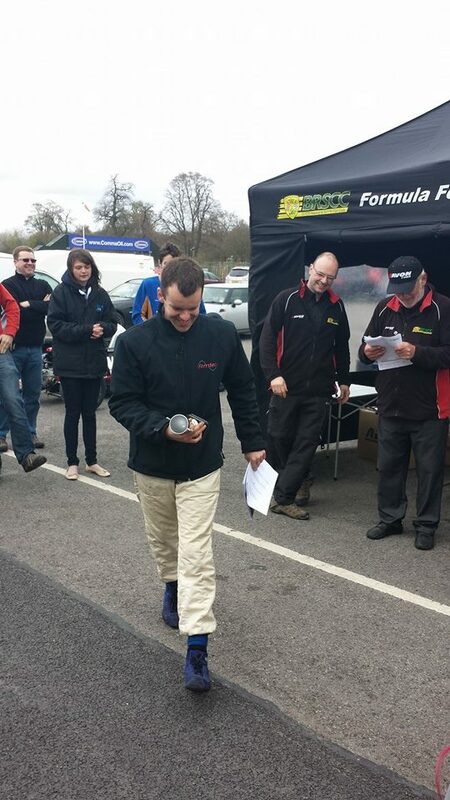 It became clear in the race (especially at the start on cold tyres) the car would not turn in to the corner sharply. This saw us drop from P7 on the grid outside the top ten. Ultimately we finished the race in 8/9 positions including a class 3rd. 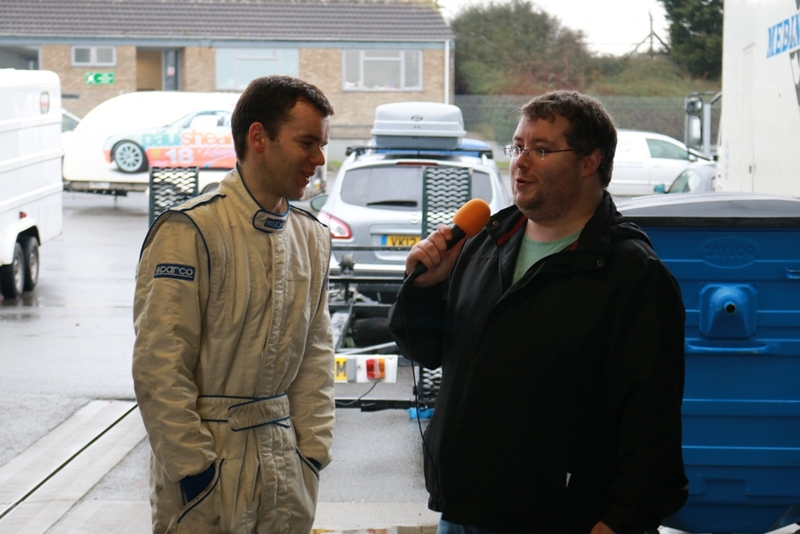 For me the driver, I was happy to be roughly on the pace for my first race in 9 years. 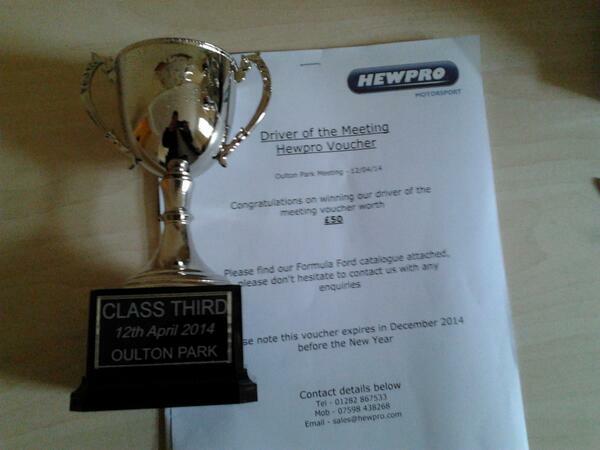 Achieving a class podium on my return to racing earned me the ‘pre-90 Driver of the Meeting’ which also came with a http://www.hewpro.com £50 voucher (put to good use to buy some more rod ends!). Many thank to Matt, Diz and the team! 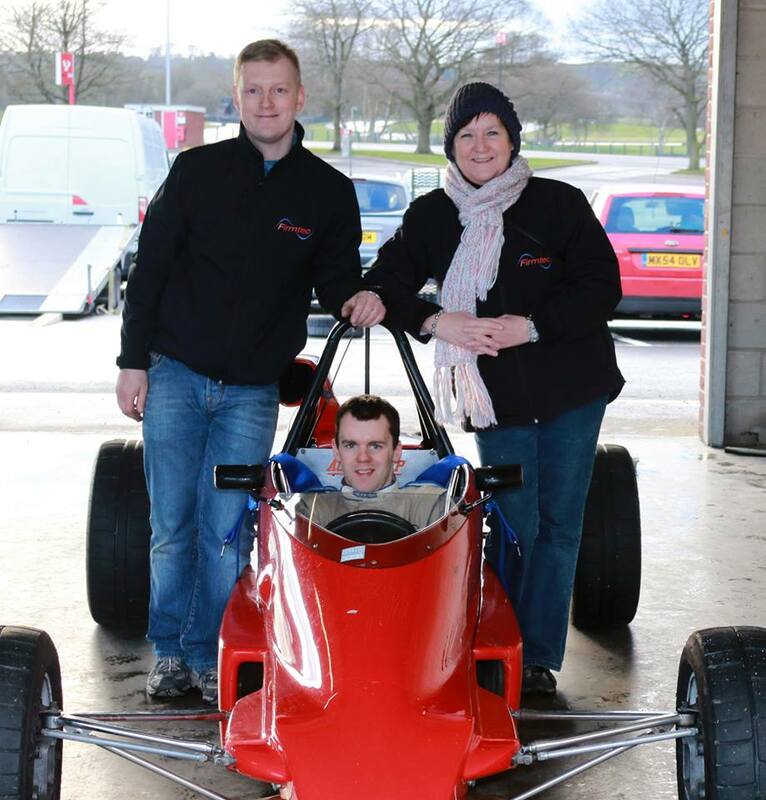 2014 Race 3&4 Anglesey Circuit. Oh dear! 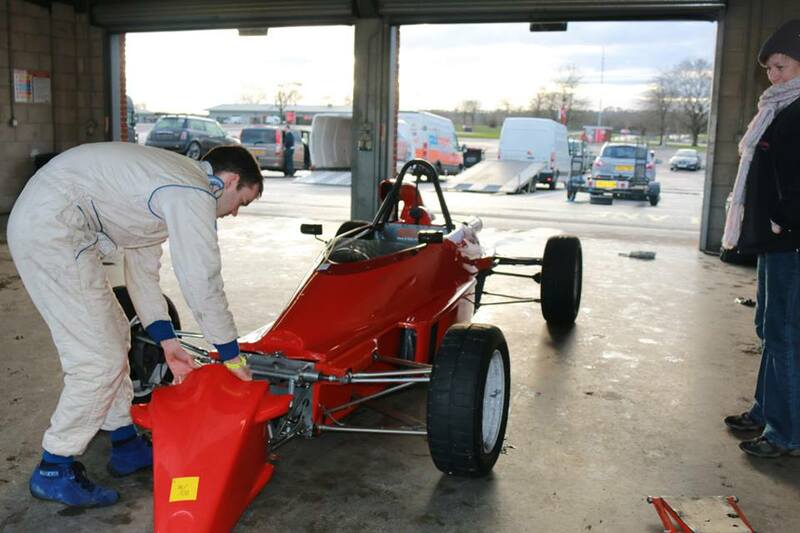 For the next two races the FF1600 paddock was at Anglesey Circuit. At last a track we’d tested at before! For this race we were using the coastal layout. This chops off the somewhat pointless straight and hairpin and takes the cars through the Corkscrew downhill chicane. It’s a tight and twisty technical track with one fast corner (alright perhaps two as turn 1 is fairly quick). Church is taken in 3rd gear and is almost flat. It’s easy flat if your engine starts to die after a few laps which is what happened to us. Friday was a productive day. We found a decent dry setup but the times just did not improve. The first session we were in the 1:14s without really trying. With a better setup and pushing hard surely we could get into the 1:12s which is certainly what the chassis is capable of. We just did not improve and in fact got slower and ended the day in the late 1:15s. Every session I would return to the pits expecting to see Stu’s face lit up when we see a leap in lap times but they were getting worse. On Saturday morning we had a free practice session and the cause of the problem was revealed. 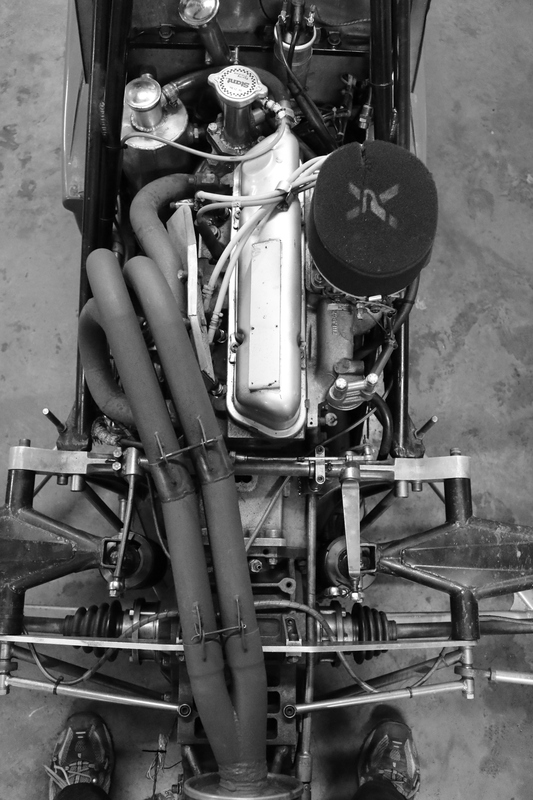 The other cars were flying passed on the straight and by now the engine would not pull beyond 6000RPM. 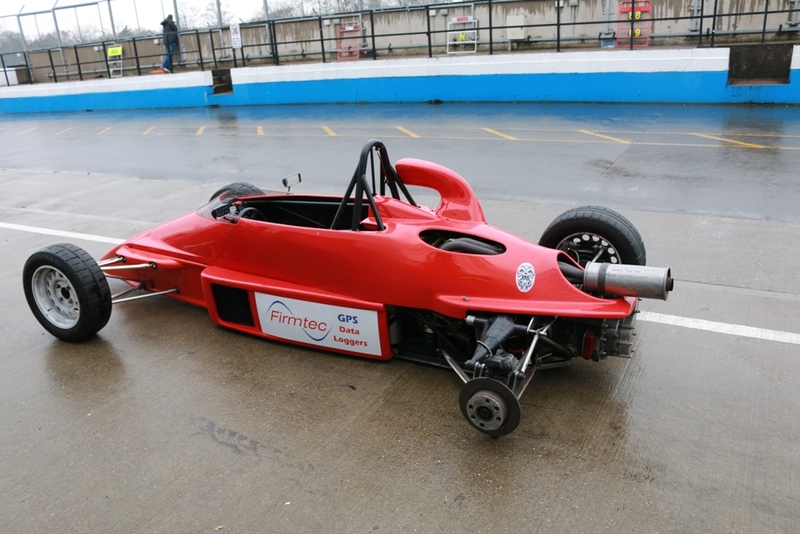 The eternally friendly FF1600 paddock offered so much advice and I’m particularly grateful once again for the help Dave Hart and Brian Young offered. Unfortunately there was not one problem and the lack of power was here to stay. One thing of note was that the first lap seemed OK with the power dropping more and more lap after lap. Come the race, in many ways our luck was in; it rained. Short shifting we hung on to 8th place holding off Alan Williamson throughout the race. After the race we brought the car home to investigate what had gone wrong. “FSWW” said Diz. My innocence had me struggling to decode what was being said. “F*cking Slippy When Wet” he kindly translated. He wasn’t joking. The theory goes the planes landing at the adjacent airport cover the track in slippery hydrocarbons which cause a problem in the rain. After 9 laps I felt a strange rocking sensation at the rear. 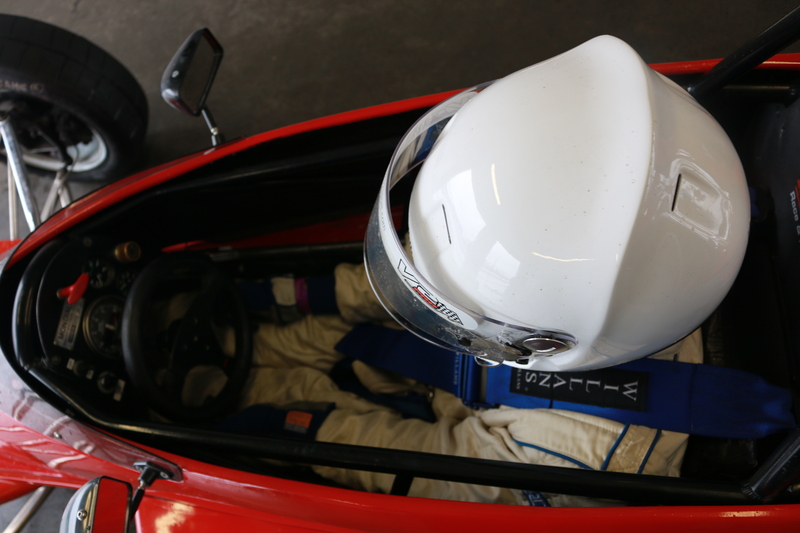 The oversteer increased yet further… time to slow up and come back to the pits. By the time I was at the chicane I was watching my rear wheel sail passed me and in to the gravel. It had damaged the upright snapping the caliper off. It looked like the day was over after 9 laps but luckily we had a cunning plan. Even more luckily the good old marshals had found the wheel bolts! We managed to get the caliper on the rear of the upright missing only one session. We could have even made it out for that session if we hadn’t spent so long deliberating on it! Anyway after the drama we got down to testing the car setup when we found yet another problem. 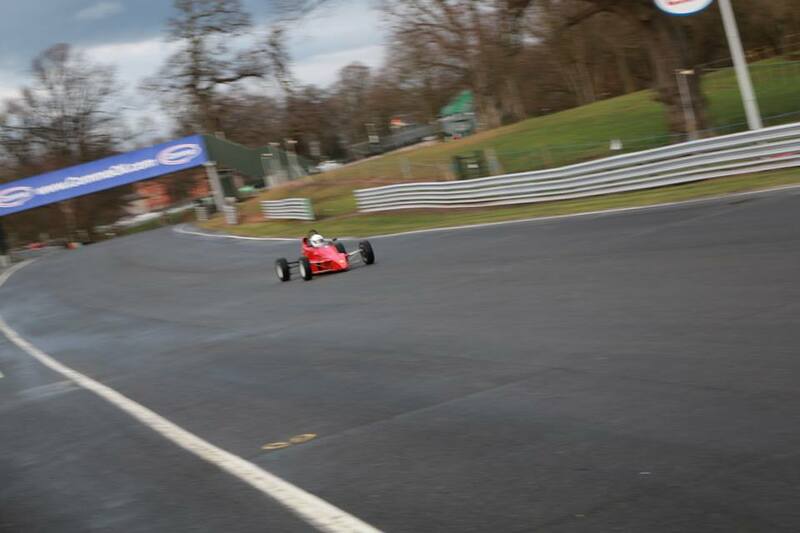 The rain meant all we could do was attempt to find a wet setup like in Oulton. All we found really was the basic mechanical setup was not very good with the rear geometry being quite far out. By far the biggest problem though was the front suspension was, like the rear, far too stiff and once again it was due to the very old Sachs dampers. Without changing these not much could be achieved. We were also running the car with a lot of rake which simply made the oversteer much worse. 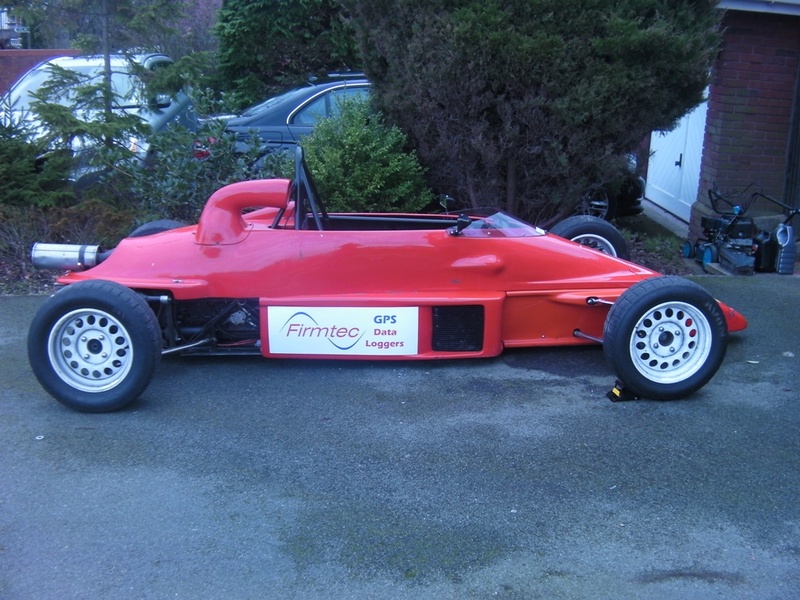 We reduced this for the next test and the car was much easier to drive. The luck was once again with us as we happened to be sharing a garage with the knowledgeable John Loebel who pointed out a few issues with the car. 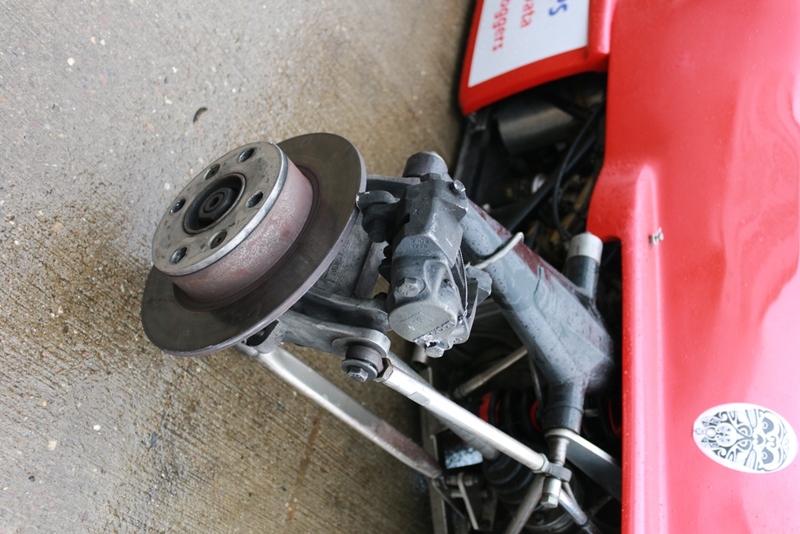 I found the brakes were very impressive and I could easily outbrake cars which were far more stable in the corners. However under heavy braking there were sudden sharp darting movements at the front. 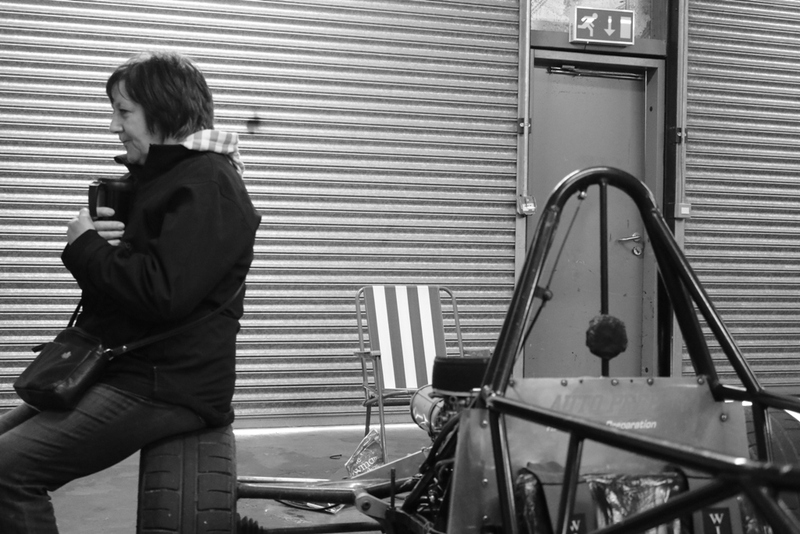 John, having already confirmed my suspicions about the dampers, pointed out the castor was uneven on the front axle. This was another issue which needed addressing before we were out next. We found a lot out about the car but didn’t really move it forward this time. Next time out would be the first Oulton race weekend. 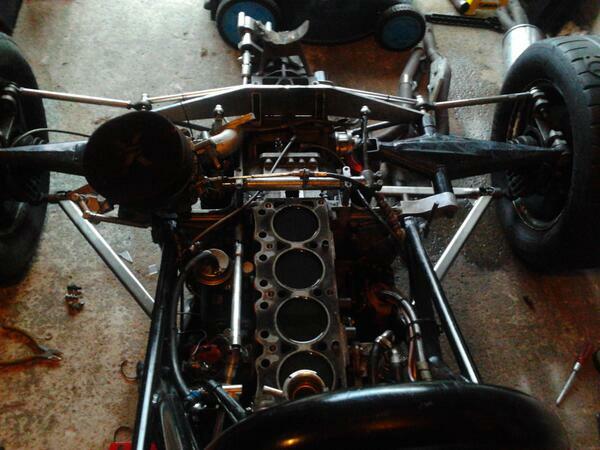 Here Michael tries to bodge in some AVO double adjustable dampers on to the Mondiale M89S Formula Ford 1600 race car. 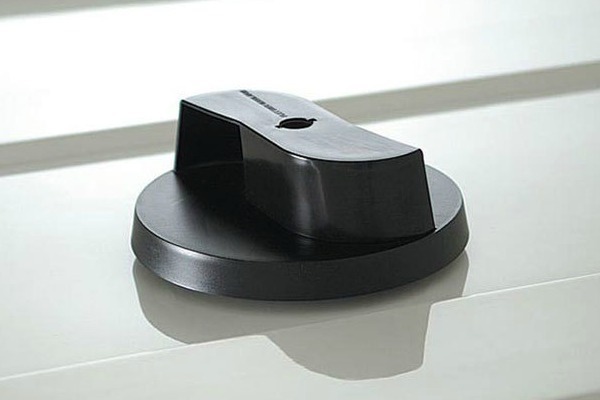 We had been quoted an 8 week lead time for the preferred Quantum dampers so we had no choice. 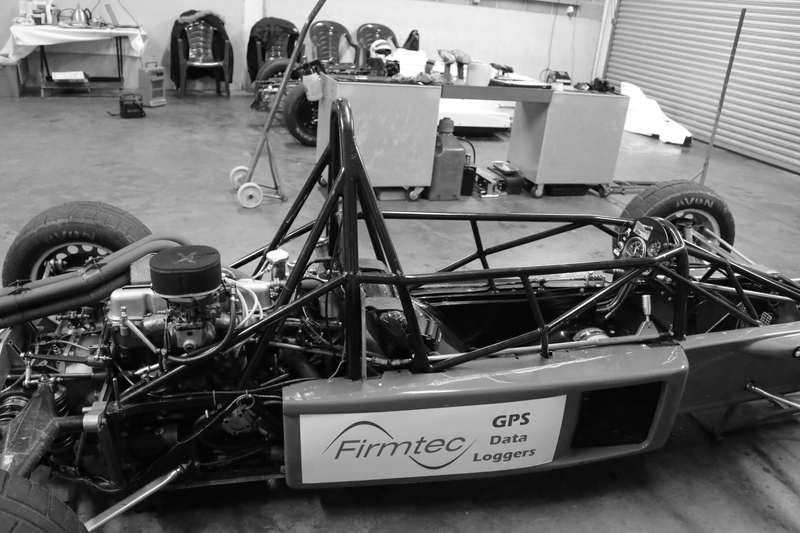 We’ll see how these go at the track before passing further judgement but fitting them… hmm… was not easy! Excellent news! After months of rain the BBC predicted a nice dry day; just what we needed to get those new AVO dampers set up. Pissed down all day. Good work BBC! 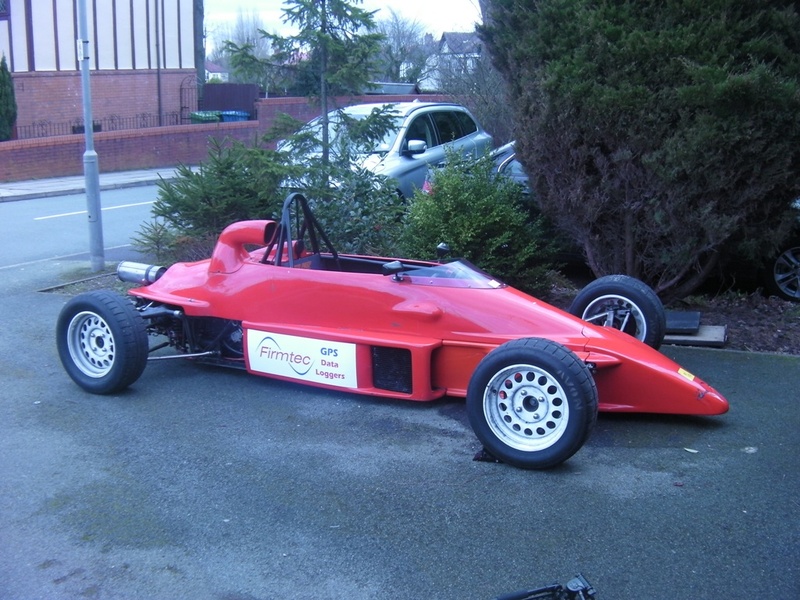 With the dampers on full soft… I ventured out for a few slow laps to check all the new bits were pointing in the right direction. 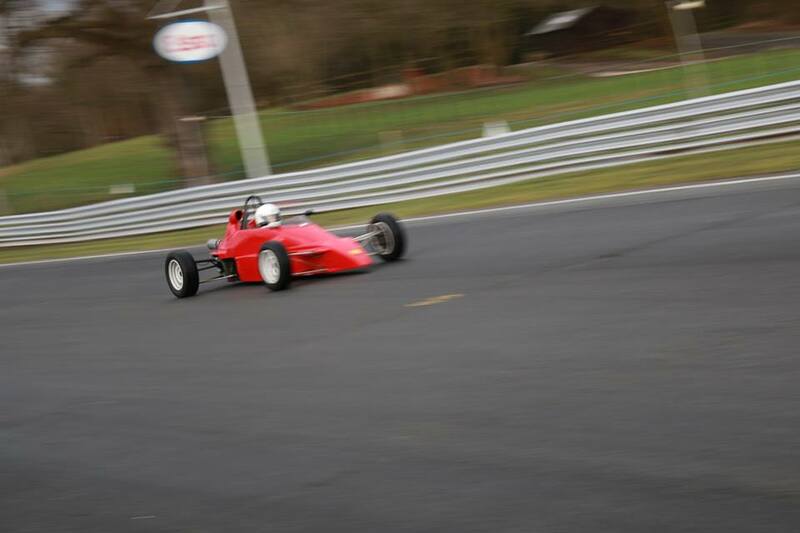 I’d never driven Oulton before despite never living more than 30 miles away and these were not ideal conditions for learning a new fast track with walls on every corner. 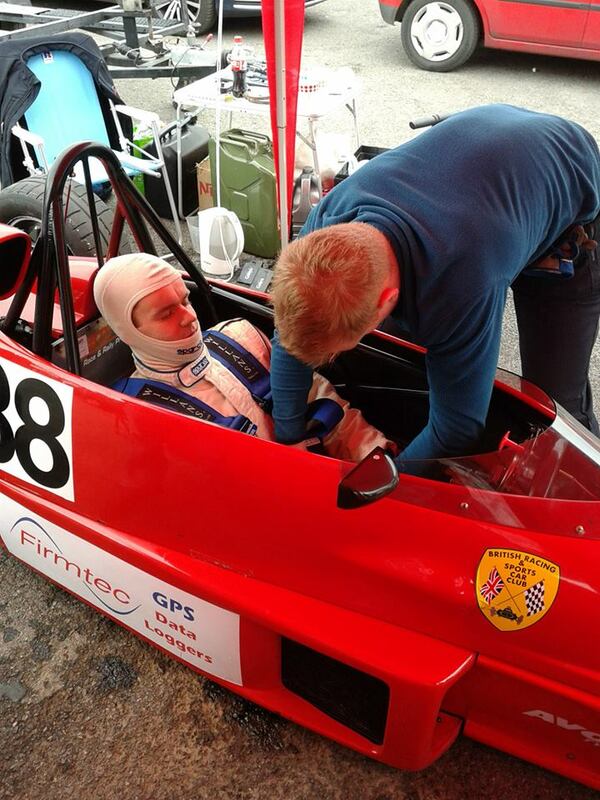 The car darted around at the rear a lot in a straight line which was not helping my confidence so when the mirror started acting all mirror like and showing only my own face and not the track behind me I headed in. 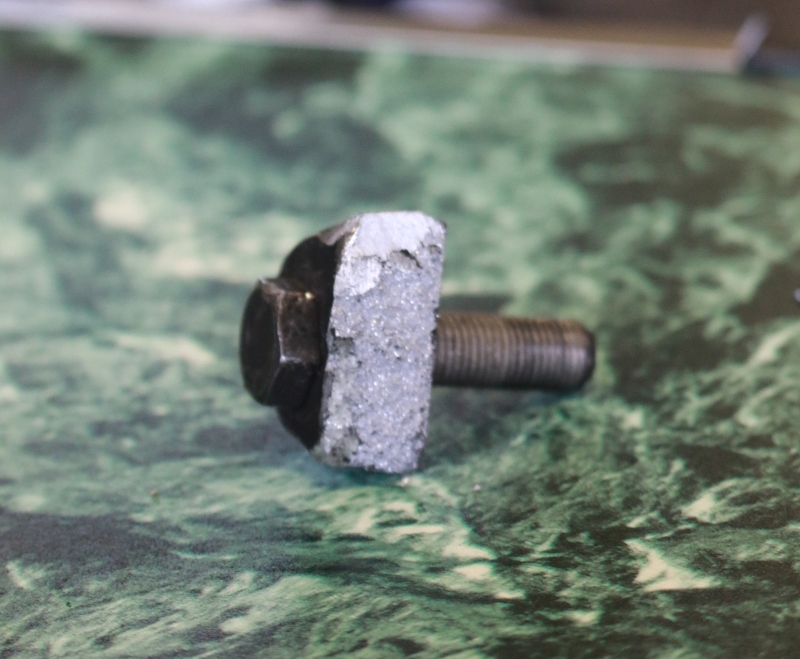 A bolt had come loose and by the time I got to Lodge it was spinning around like one of those van roof ventilators until the screw fell out! Anyway that was easy to fix. 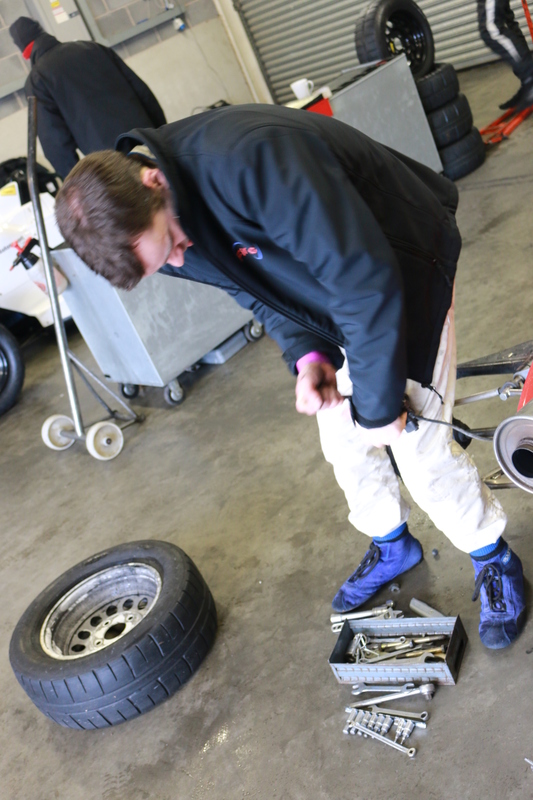 To sort out the stability we rechecked the rear toe settings and also reduced the rear camber as it was so wet which improved the car greatly for the next session. Throughout the day we also checked the corner weights (which turned out to be miles out!) and kept the tyres at about 18psi when warm. 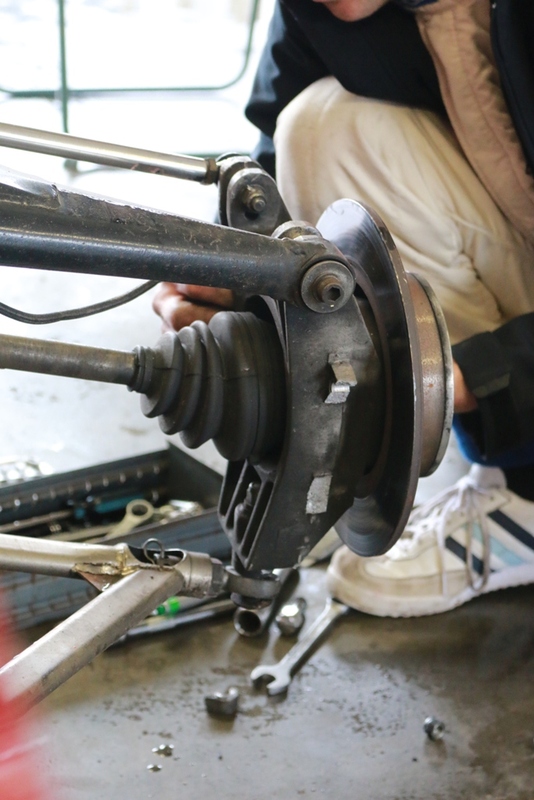 The only other significant change was to completely disconnect the rear anti-roll bar instead of just leaving it on soft and by the end of the day it was nicely balanced in the wet. On reflection the dampers were too soft though making the car feel too floaty even for the wet. We really need to look at this. 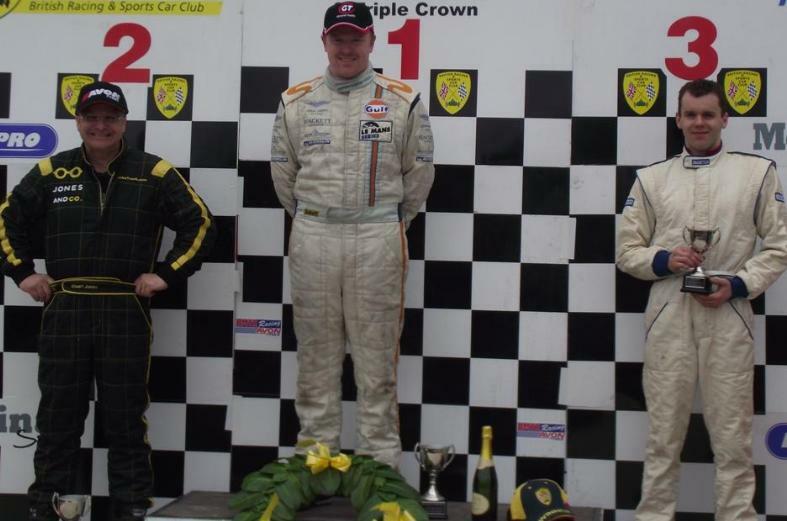 I learned two important things about Oulton that day. Firstly, when it’s wet short shifting at Dear Leap is a good idea. 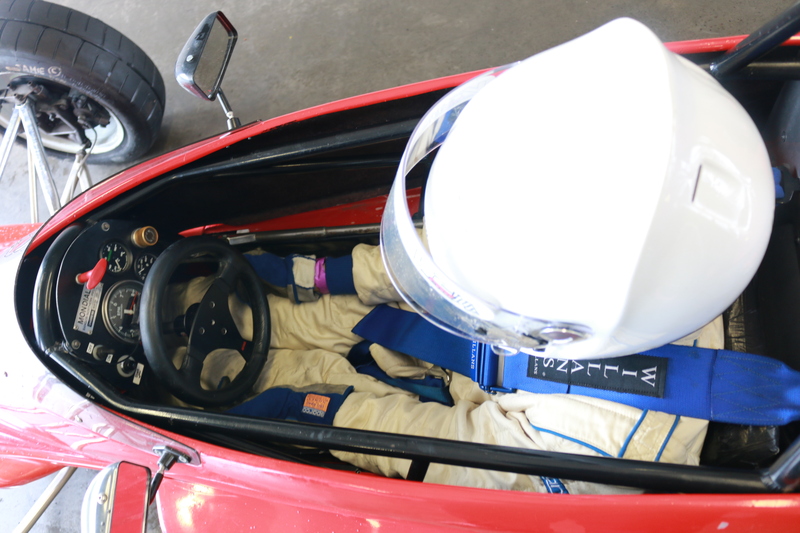 To use all of the revs means shifting as you go over the top when the car is very light. Deer Leap nearly became Dear Leap as it did for one poor BMW driver also testing that day! Not a bad idea to short shift over the hump if necessary! The second, unbeknown to me, is that there is a big bump on the exit of Druids. I found that the hard way and nearly ended up buried in the tyres but luckily it was just another big save. I did manage a crash that day though in the last 2-3cms of driving. The ramps were down on the trailer as I pulled up to it making it ever so tempting to just drive it on… forgetting the nose was still on the car. Crush! Anyone know how to fix glass fibre?